So, you’ve decided to develop the hobby of archery and are now wondering where to start. Well, learning about bows and other archery equipment is perhaps the best way for this. 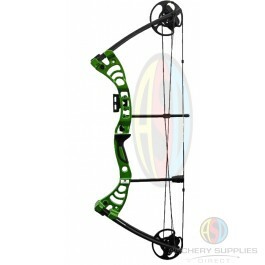 Once you become familiar with common types of bows, you can become aware of which bow you should choose for yourself. So, here’s the info. Flat-bows and longbows or other traditional bows are generally one permanently joined wood that can either be made from a single wood stave (piece) or laminated (many types of wood strips fixed together). It should be remembered when you buy archery equipment online that these bows cannot break into smaller pieces and can be more than 6 feet in length so their storage and transport is pretty difficult. Good flat bows or longbows are costlier than a recurve bow and cannot be upgraded. While the term recurve in fact refers to the bow’s shape, it is commonly used to mean the recurve take down bows comprising of a riser with removable limbs and accessories. A wide range of parts is available from budget to professional. Recurve bows have an advantage that their parts can be upgraded in various stages without having to upgrade the complete bow at a time. Most people are trained with this type of bow. A compound bow is by far the most advanced kind of bow meant for high arrow speeds and precision. These bows are meant to be left assembled but are considerably shorter than an assembled recurve bow or long bow. These bows have a lot of developments and benefits over other types of bows including the usage of peep sights for precision and “let off” which greatly reduces the force needed to hold the bow while aiming. Compound bows are expensive and most of their accessories are also costlier than that of recurve bows. These bows need higher customisation to the archer and while now bows are available on the market that have a higher range of adjustments meant for accepting juniors as they grow, adult bows normally have little adjustment in draw length (around 3 inch) and draw weight (around 10 lbs) with no high cost. Whichever type of bows you select, you should first take your comfort into account. Fortunately there is a great variety available for these different types which you can try and check. Your first purchase should feel weighty to pull back and will need some getting used to but without feeling too difficult. If in doubt, take advice of experts so that you can make the right purchase.